Huge improvement over previous Fortwo. Available with a manual gearbox as standard. All-new twin-clutch automatic. Cheap to run. Tiny turning circle. 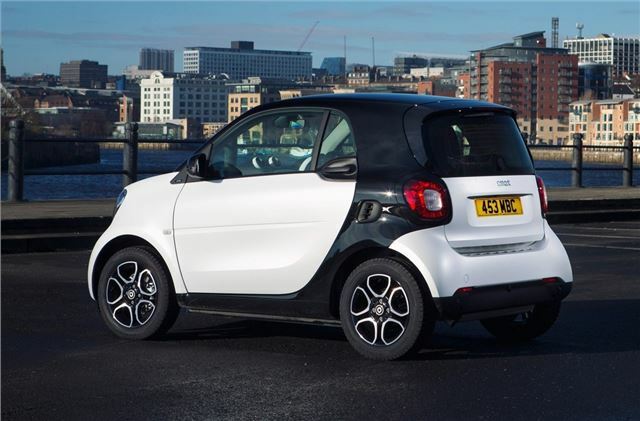 Bigger Smart Forfour isn't much more expensive. 71PS needs to be worked hard out of town. 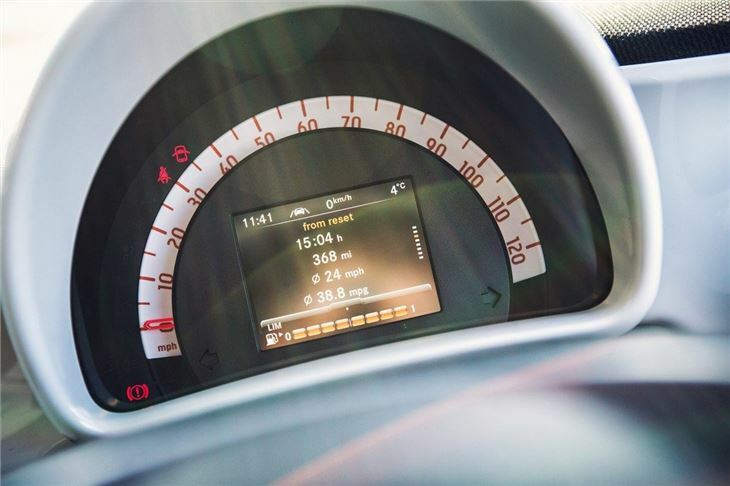 Report of manual transmission of 2016 Smart ForTwo "locking up" and refusing to go into gear. Even though it's a manual, it might ber necessary to use the footbrake to free the gearshift? The latest Smart Fortwo is just as impressive around town as its predecessor, with compact dimensions, perky performance and an incredibly tight turning circle – but it adds in a healthy dose of cute, quirky styling. For people who live in congested cities it is unbeatable – but it holds appeal for buyers out of town too. Smart offers two three-cylinder petrol engines - a 71PS or a 90PS, both of which live in the back, under the boot floor. The less powerful engine is fine in 30mph and 40mph limits, but gets a bit out of breath at higher speeds and needs to be worked hard. It does have low emissions though, at 93g/km with official economy of 68.9mpg. 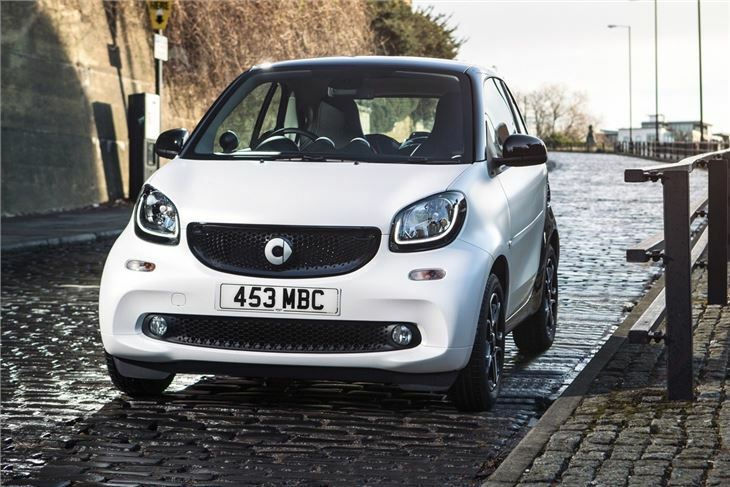 The compact dimensions obviously make the Fortwo ideal for urban environments, but if you specify the 90PS engine it’s perfectly at home on faster roads - and it’s just as cheap to run with official economy of 67.3mpg. Its short wheelbase and light weight mean it isn’t quite as planted at high speed as other small city cars, though. 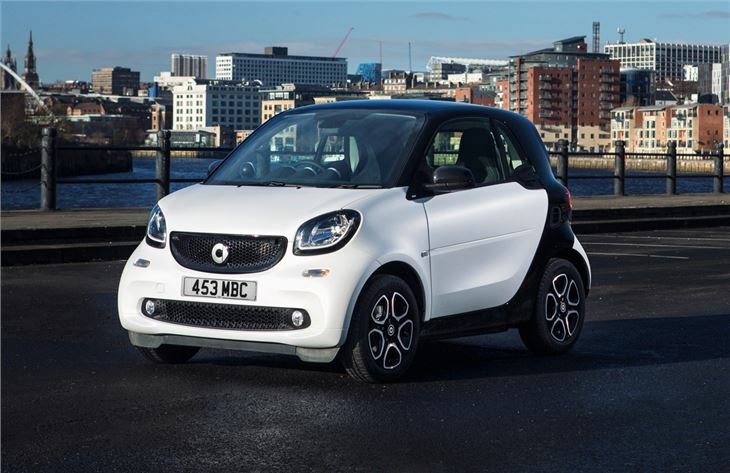 In keeping with the trend for small hatchbacks the Fortwo is available with a host of customisation options. 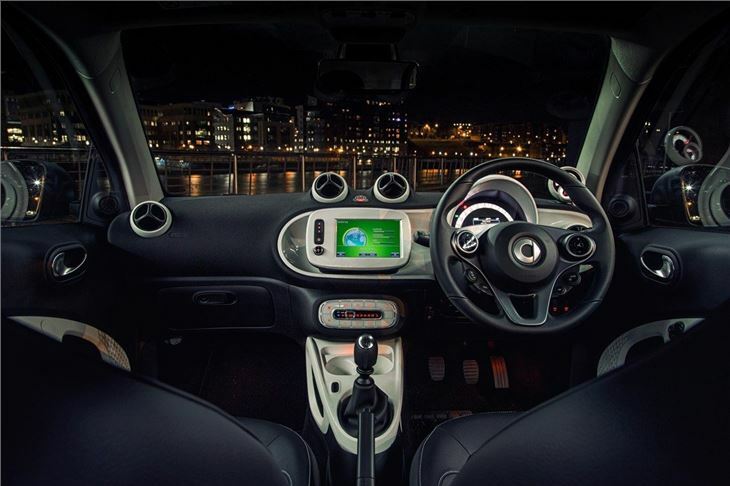 Buyers can mix up the colours of the bodywork and the ‘Tridion’ safety cell, plus there are various different interior upholstery colours on offer, so you can really make the Fortwo stand out. If you don’t need rear seats the Fortwo is reasonably practical, despite its size. 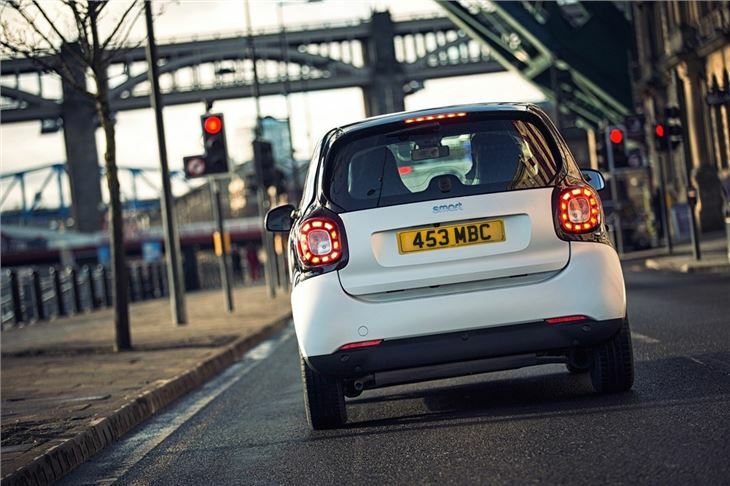 The tailgate splits for easy loading in tight spaces and has enough space for a weekly shop or a weekend away, but obviously there are only two seats, so isn’t much use for a family – but the Forfour looks just as good and offers more room. 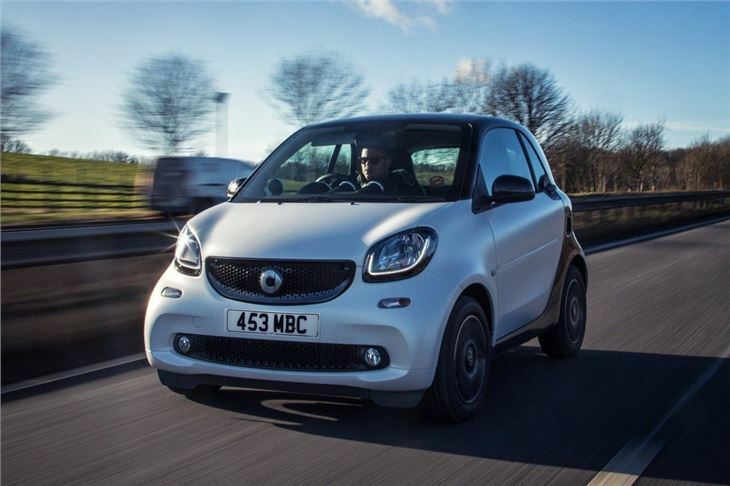 There’s plenty to like about the Smart Fortwo. It’s characterful, cheap to run and perfect for urban environments – but it is also quite expensive. The cheapest model costs almost £11,000, which would get you a very well-equipped Volkswagen Up. Nonetheless, if you want something unique and you live in a city the Fortwo is easy to recommend. Excellent city car, good fuel consumption. Fun in its own context.